Stanley F. Matylewicz, Jr., age 97, of Millville, passed away on Sunday, January 27, 2019 at Geisinger Hospice at Maria Hall, Danville. 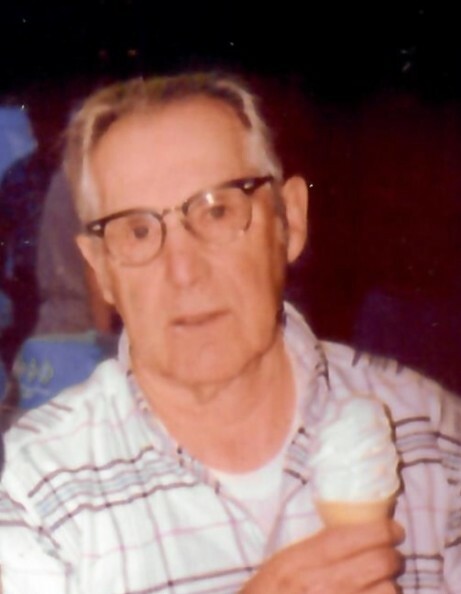 He was born in Dalton, Lackawanna County, on May 8, 1921, a son of the late Stanley F., Sr. and Julia (Zalewski) Matylewicz. He attended the Dalton area schools. Stan managed the family farm from the age of 14 until he secured employed with GLF, now known as Agway. He retired from Agway in Nescopeck. He retained a lifelong interest in all matters pertaining to farming and agriculture, including tending a large vegetable garden in his younger years. He was a member of St. Columba Catholic Church, Bloomsburg. Stan was preceded in death by his wife of 65 years, the former June R. Donovan, on December 16, 2013; by two sons: infant Gerald in 1951 and Thomas in 1995; and a brother, Barney in 1982. Surviving are his three daughters: Gloria, wife of Gary Woolcock, Peggy, wife of J. Michael Moore, Jule Matylewicz; nine grandchildren: Jason Woolcock, Scott Woolcock, Hope Hand, Gregory Moore, Patrick Moore, Katherine Hiner, Joseph Kindt, Benjamin Kindt, Samuel Kindt, all of whom he introduced to his favorite TV show “Pennsylvania Polka.” He was also blessed with 16 great-grandchildren. Also surviving are two sisters: Anna Carpenter and Clara Kozolosky and a number of nieces and nephews. The family extends its heartfelt gratitude to Geisinger Hospice At Maria Hall staff for providing a compassionate, serene environment for Stan’s final days. A private Mass of Christian Burial will be celebrated in St. Columba Catholic Church, Bloomsburg, by Monsignor Robert E. Lawrence. Interment will follow in Millville Cemetery. There will be no calling hours. Memorial contributions in Stan’s name are suggested to a charity of the donor’s choice.